Slacktivist/schmacktivist 'Ice Bucket Challenge' leads to yet another ALS breakthrough! 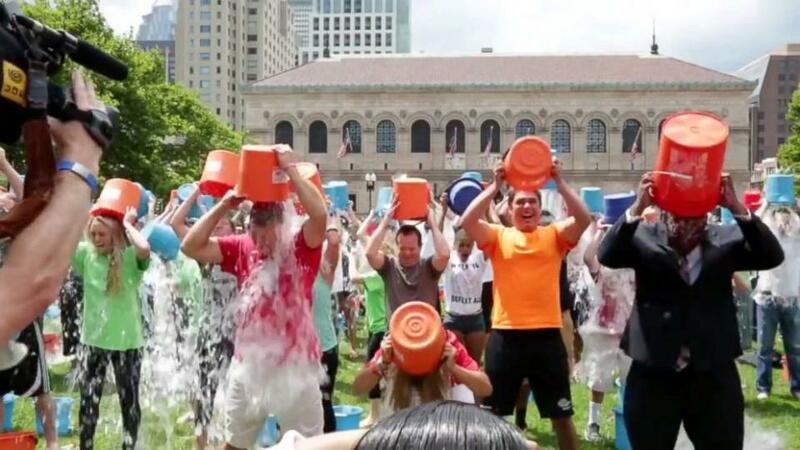 Back in the summer of 2014, your Facebook feed was overflowing with countless videos of friends, relatives, and even celebrities participating in the ‘Ice Bucket Challenge.’ These clips showed the likes of Sir Patrick Stewart, Bill Gates, Will Smith, along with, probably, your Great Aunt Betty dumping buckets full of ice water on their heads all in hopes to raise awareness for Amyotrophic Lateral Sclerosis (ALS), or Lou Gehrig’s Disease. ALS is a, currently, incurable neurological condition that causes the death of motor neurons. The condition could be either inherited or sporadic. According to the ALS Association, the disease progresses, “eventually taking away the ability to walk, dress, write, speak, swallow, and breathe and shortening the life span.” Fifteen new cases are diagnosed each day in the US, alone. Despite all of the negative think-pieces the trend generated, the videos had a direct hand in raising over $100m in just 30 days! Finally, the world is seeing the fruits of their chilly labor. One of the beneficiaries of the generosity fueled by the challenge, Project MinE, reports a newly discovered gene present in both inherited and sporadic cases of ALS. The Guardian reports Project MinE as “a large data-driven initiative funded by the ALS Association through ice bucket challenge donations…” The project involved sequencing the genomes of 15,000 ALS sufferers. Their findings were published on Monday in the journal Nature Genetics. One of the study’s co-authors, John Landers, directly attributes dollars gained during the proliferation of the challenge. “It is a prime example of the success that can come from the combined efforts of so many people, all dedicated to finding the causes of ALS. This kind of collaborative study is, more and more, where the field is headed,” he proclaimed. The discovery was a truly international effort. Some 80+ researchers from 11 countries collaborated on the discovery. The gene, NEK1, has only been associated with about 3% of all cases. However, finding the gene in both inherited and sporadic cases could lead to researchers having new avenues of treatment open to pursue. This discovery is not the first development attributed to the stunt. The summer of 2015 also brought some new findings. Researchers from Johns Hopkins found a previously unknown accumulation of a specific protein to be an indicator of the disease.